Spending time as a volunteer at Pasitos de Luz is a challenging yet amazingly wonderful experience for all involved. 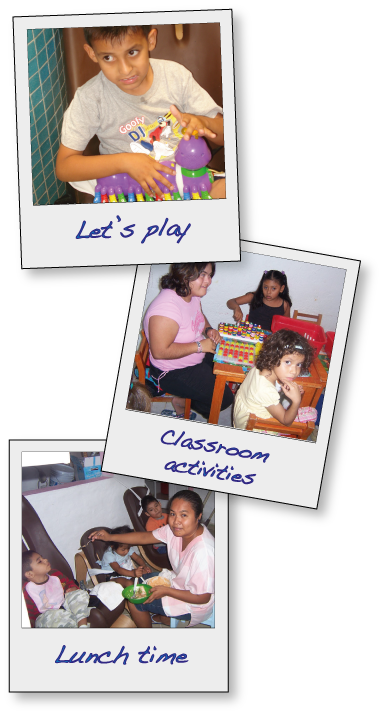 Volunteers who speak Spanish and have some experience working with children with extreme disabilities are needed to help feed children, change diapers, encourage children working on puzzles or other activities, or just reach out and rub a child’s cheek to bring a smile. Transportation or a knowledge of the bus system in Puerto Vallarta is very helpful as Pasitos is in a suburb community and not easy to find. Visiting Pasitos is possible during weekdays by contacting them.